Amanda from Less Plastic wanted a to re-evaluate the function of the site. 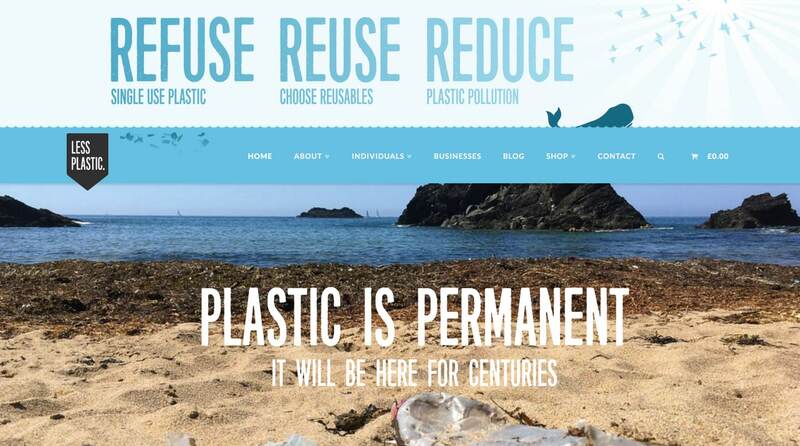 Changing the direction of the website from an online shop to more of a focus on the education and training side of the Less Plastic ethos. Working closely with Amanda on quite a tight schedule, a newly updated front page, site structure and additional pages developed. A larger more targeted front page, with cleaner design elements and a social media element were created to align with the new direction the company is taking. The mobile view also had a design refresh with the new informational slider now filling the available space. New pages aimed at Individuals and for Business, with clear defined areas for personal and corporate responsibility. 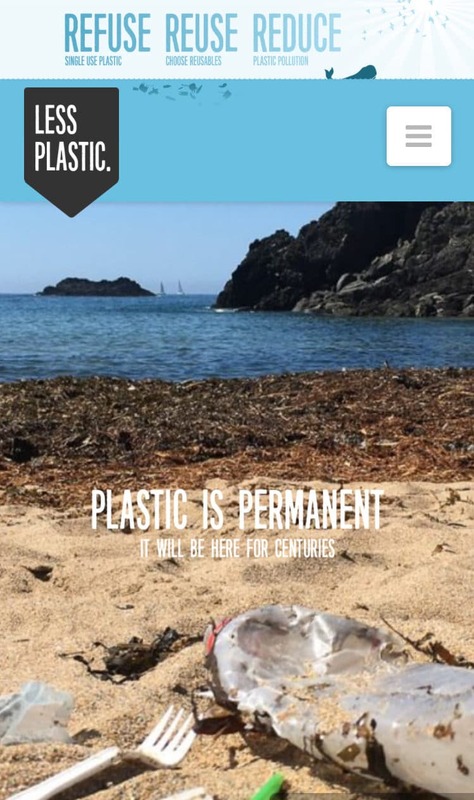 The shop will continue to play a part for Less Plastic, but education is the real focus for change at Less Plastic.